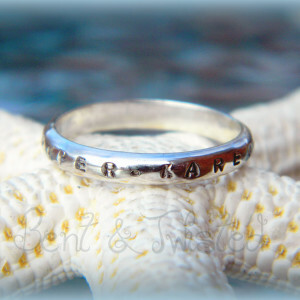 Fall in love with this delightfully different spinner ring where a treasured message waits to be revealed. 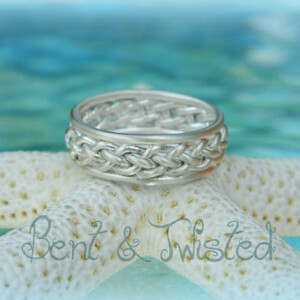 This fabulous sterling silver spinner ring has a secret! 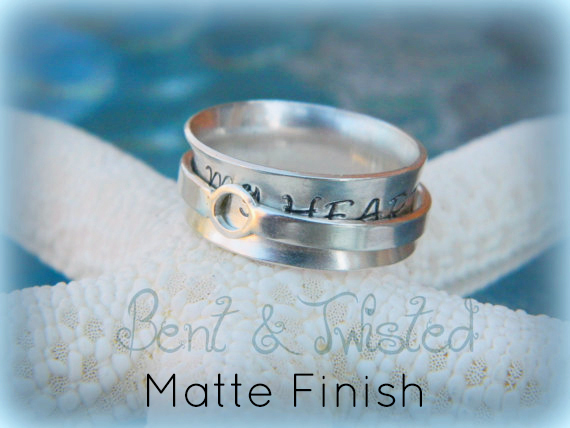 The outer spinner band has a hole in it so you can read the message stamped on the inner ring.No one needs to know it’s there, but YOU’LL know! How cool is that?! 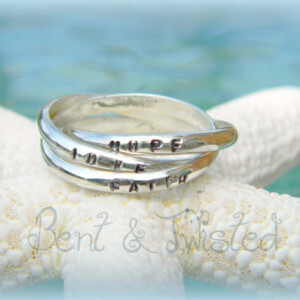 Made from solid sterling silver, the inner band is a generous 9mm then flared to hold the 2mm wide outer ring in place. The flaring brings the width down to approximately 7.5mm and also creates a ‘comfort fit’ band that is exactly that. COMFORTABLE! 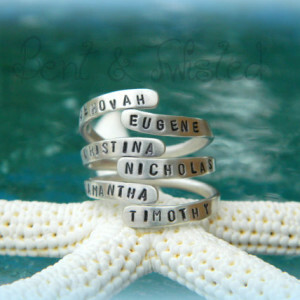 Please contact me if you have any questions you may have regarding what you’d like stamped onto your ring.